The bottom line for this dinner recipe: you’re gonna be using all four burners on your stove. It’s really fun. 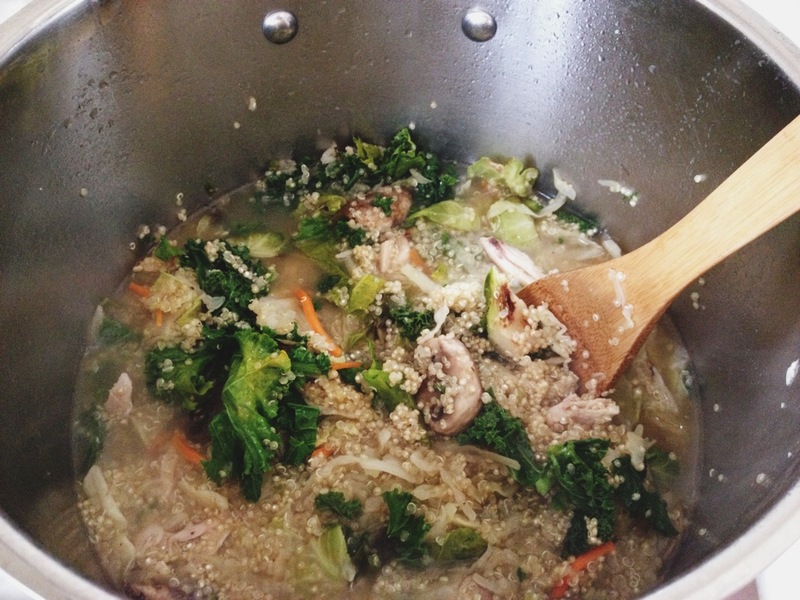 Cook the quinoa as directed, but use store bought chicken broth instead of water. The flavor is better! On a different burner, saute an onion. 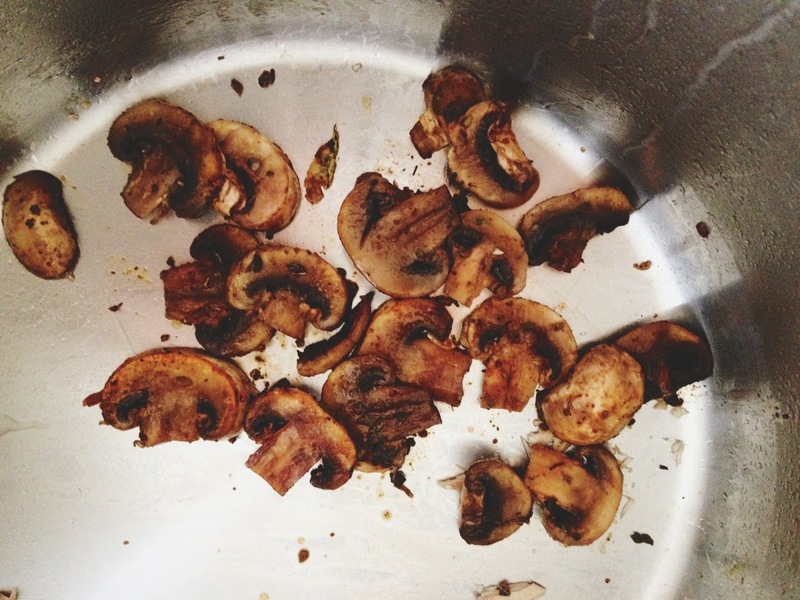 Half way through toss in some chopped mushrooms and garlic. 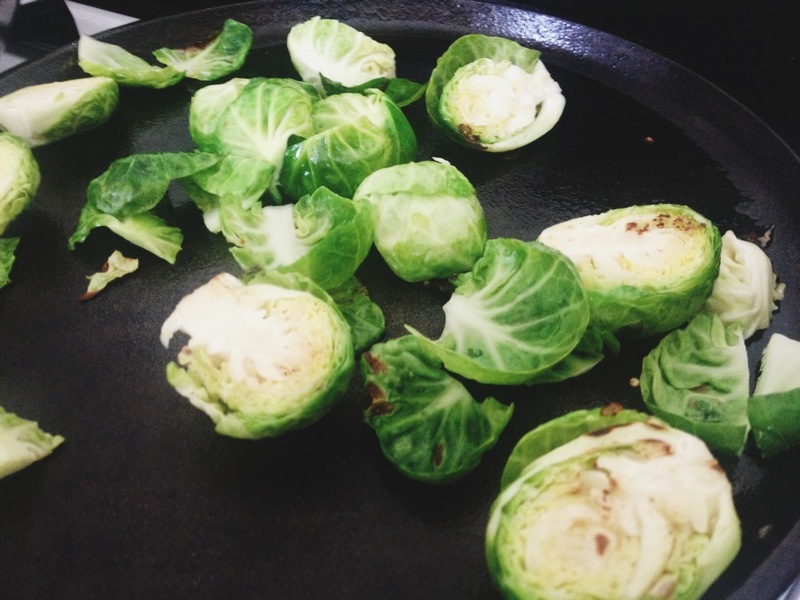 On a separate skillet, saute halved brussel sprouts in butter. They’ll cook more once they are in the soup pot so don’t worry about boiling them. Chop up some fresh kale. Set it aside, it’ll be added about 10 minutes before serving. Pour chicken broth into a big pot and start a boil. Add everything. 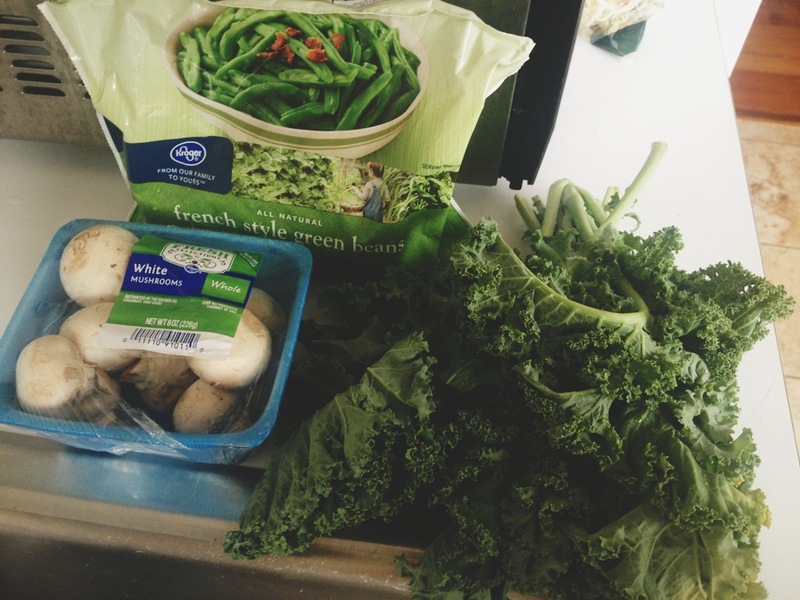 I also added some chopped green cabbage, and a small bag of frozen french cut green beans. Let the stew cook on a low boil/simmer for another 20 – 30 minutes. Add more broth as needed, depending on how thick or how brothy you want it. Towards the end, maybe 10 minutes before you serve the hot stew, add your kale. 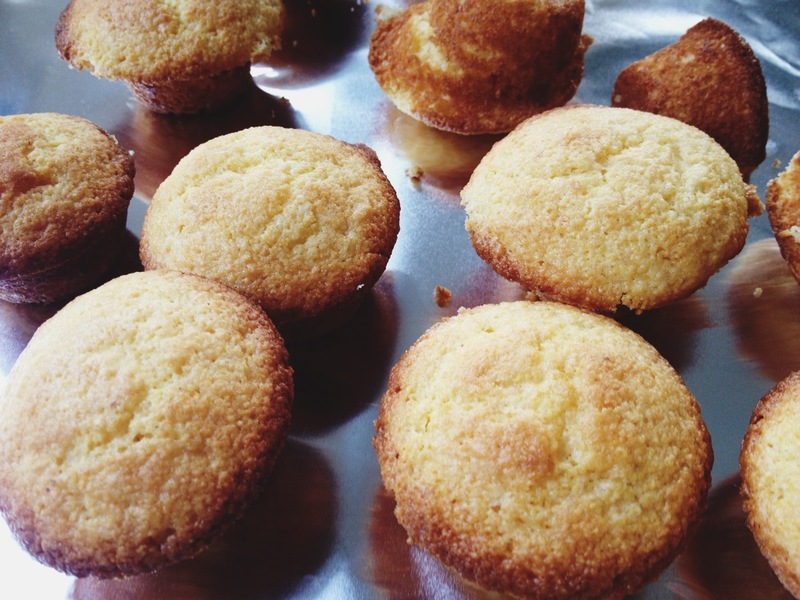 I also used this time to whip up some baked corn bread muffins. They go nicely with soup, oh yes they dooohoo. To the soup, add salt and pepper to taste. And I get it people. It’s summer and this is a hot soup recipe. But hey, sit in front of your A/C and eat it like an Alaskan eskimo in January.